Drevs Gamla Kyrka is the oldest preserved church in the entire county of Kronoberg. It is located on a slight hill in Drev, a small rural settlement about 30 kilometers north-east of Växjö. 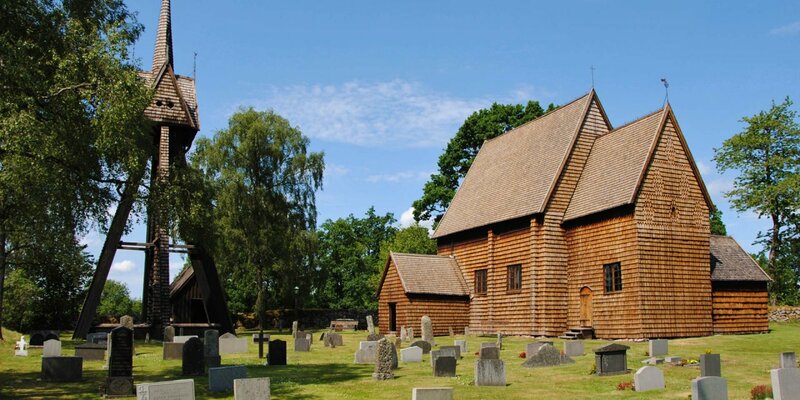 The church, built around 1170, is a typical representative of the small rural parish churches from the early days of Christianity in Sweden. The structure is typically Romanic, with a nave, which in this case is just 10 meters long, as well as a small choir with a semicircular apse. 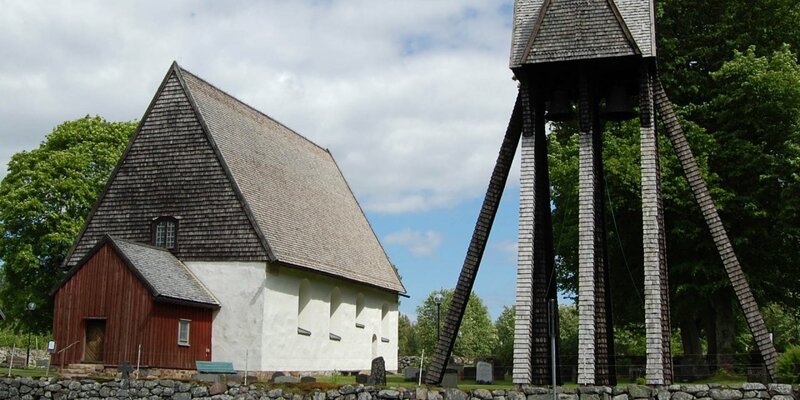 The masonry of Drevs Gamla Kyrka is made up of stones and is covered with a simple, relatively steep saddle roof. In contrast to the external appearance, the interior of the church is decorated and colorful – with paintings from the Baroque period. The paintings under the straight wooden ceiling emerged between 1624 and 1626. The colorful church benches were built in 1652, the galleries were added in 1697 and the pulpit decorated with wood carvings dates from 1702. The oldest items in the church date back to the 13th century – a triumph crucifix, a Madonna statue and a statue of St. Olof. 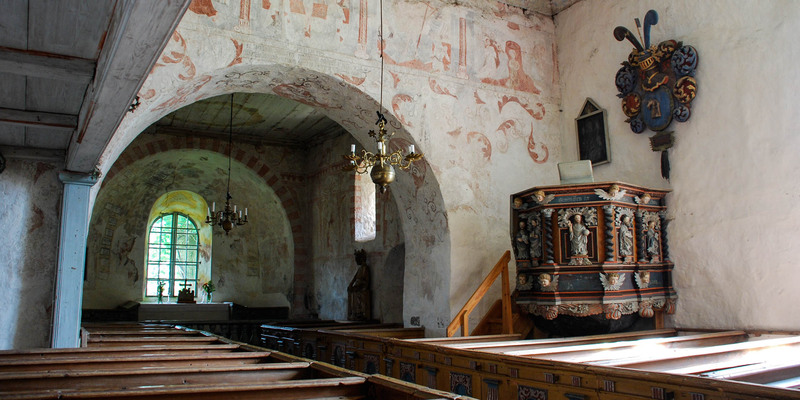 During the 19th century, Bishop Esaias Tegnér let built many new churches in the Diocese of Växjö and many medieval churches were abandoned. The old church of Drev also fell into this fate. 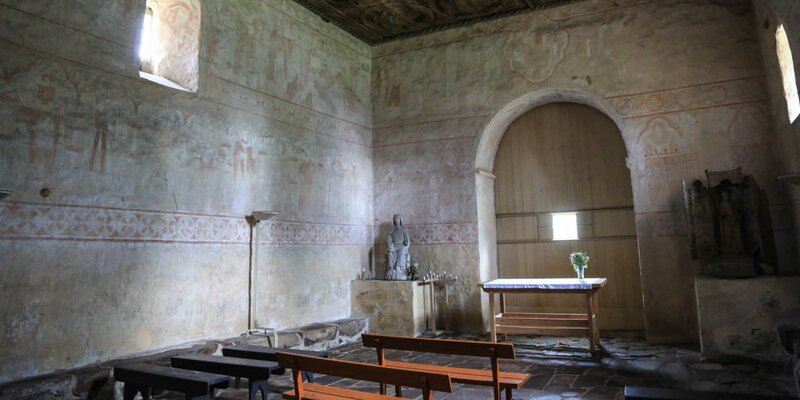 It was abandoned in 1868, when a new large church was consecrated in a neighboring village. The frugal Småländers, however, did not tore down the church, but took advantage of it as a storage space, thereby preserving it. With the idea of protection of historic buildings, the old roof was renovated with goverments funds in 1905. Extensive restorations in the 1940s and 50s made the church look like a hundred years ago and has been used for church services again, until today.